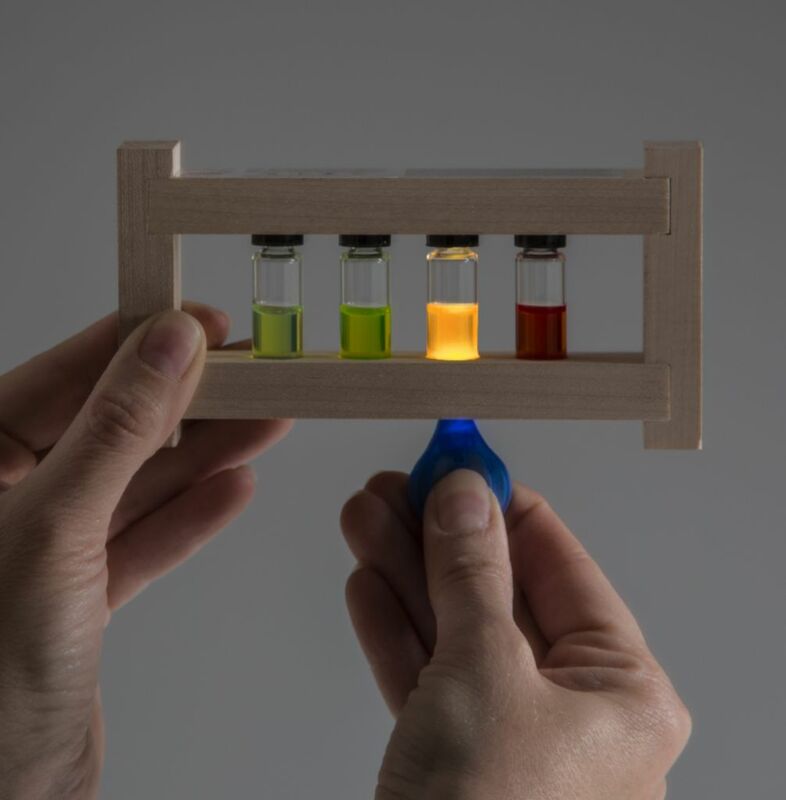 CENCO Quantum Dots allow educators to lead high school and college students into a series of experiments and demonstrations involving quantum mechanics and artificial atoms. Students build a foundation of knowledge for further quantum physics studies with a series of demonstrations and experiments that vividly illustrate the basics of quantum mechanics. Flexible enough to use with high school students, CENCO Quantum Dots offer an interactive way for students to study and experiment with advanced techniques. 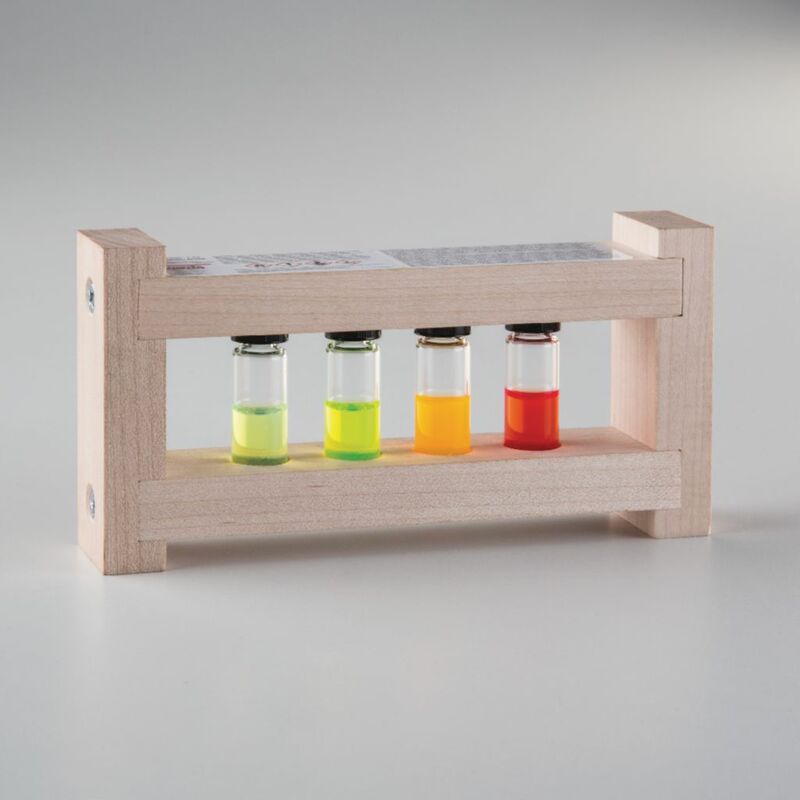 For this specific Quantum Dot kit, the size of each of the quantum dots are the same in each vial. The main difference is due to the gradient concentration. The nanocrystals have a ZnS outer shell with a CdSeS core. As the density of one increases while the other decreases, the wavelength varies. However, the overall diameter remains constant. Ordering information: Recommended but not included are a spectrophotometer and/or spectrometer, and an LED light source.